That's a lot of time to travel the world, enjoy hobbies and make memories with family and friends. On the other hand, it can also be a lot of time to stress about rising expenses and dwindling assets. Fortunately, if you plan correctly, you can minimize the chances of ending up with too many years left and too little money in the bank. However, if you think you've made mistakes (or are making mistakes) when it comes to retirement planning, rest assured there is always time to make a correction. Here are five common retirement planning mistakes and how to do damage control for each one. Retirement Planning Mistake: Focusing solely on your rate of return. The Solution: Create a diversified portfolio. It makes sense that investors want to maximize their returns, but financial advisors say it's a mistake to take a narrow view of retirement portfolios. "People tend to chase rates of returns," says Bob Gavlak, a certified financial planner and wealth advisor with Strategic Wealth Partners in Columbus, Ohio. "[Rates] are not in your control. You need to look at your overall strategy." Rather than trying to put all your money in specific funds that did well in previous years, it's better to spread investments over a variety of fund types – such as index, balanced, equity and global – that offer a combined level of risk appropriate for your age and goals. This approach diversifies a retirement fund so the entire portfolio won't be in jeopardy should one industry or sector run into economic trouble. Retirement Planning Mistake: Forgetting about taxes. The Solution: Have a tax plan for investments and assets. Thomas O'Connell, president of International Financial Authority Group in Parsippany, New Jersey, says taxes are another area that trip up retirement planning. "People don't typically have the same deductions [in retirement], so their effective tax rate is going to be higher," O'Connell says. "They are ending up paying more in taxes even though their lifestyle hasn't changed." Minimizing taxes in retirement can be achieved through a combination of strategies, Gavlak says. Investing in Roth accounts is one way to ensure withdrawals are tax free. Meanwhile, distributions from taxable retirement accounts can be timed to coincide with low-income, and therefore low-tax, periods. Owning a home, rather than renting, is another way to potentially lower taxes in retirement. 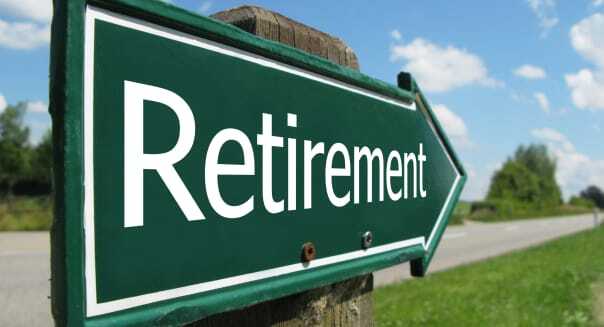 Retirement Planning Mistake: Thinking the start of retirement marks the end of planning. The Solution: Review finances and goals every year. It's tempting to think of a retirement plan as something that runs on autopilot after leaving the workforce. In reality, a plan only remains relevant if it constantly evolves to adjust for market conditions and a retiree's lifestyle needs and goals. "Retirement planning is nothing more than a process," says Stephen Davis, an investment advisor and president of S.G. Davis Financial Group in Concord, New Hampshire. Too many people make the mistake of failing to understand their expenses and plan their income accordingly. "Medical costs go up, and inflation can have a big impact." What's more, Davis cautions against using the old rule that says it's safe to withdraw 4 percent from retirement accounts annually. "Since 2000, our interest rates have gone down, and we've run into two market corrections," he notes. Combined with longer lifespans, that means people taking out 4 percent each year may find they run their accounts dry prematurely. Instead of creating a retirement plan based on general rules of thumb, a better option may be to meet with a financial advisor each year to evaluate income, assets, taxes and market conditions, and make changes as necessary. Retirement Planning Mistake: Saving too little. The Solution: Start now and automatically increase contributions with every raise and bonus. In 2013, the median retirement fund for 55 to 64 year olds held a paltry $111,000, according to a report from the Center for Retirement Research at Boston College. That translates to living on $400 per month – and isn't much when you consider it has to stretch over 17 to 20 years or more. "The best time to plant a tree was 20 years ago, but the second best time is today," says O'Connell, using an old analogy. It's the same with money. The best way to do damage control for meager savings is to make it a priority going forward. A workplace 401(k) is the logical place to start, since many employers will match contributions, up to a certain amount. If that's not an option, an IRA funded through automatic deposits is another good choice. Then, once the money is in the account, don't touch it. Frank Drago, senior vice president of investment services at Citizens Bank, says many people have too little savings because they dip into retirement funds for other expenses like college. "As difficult as these decisions sometimes are, the focus should be on building and protecting your nest egg to last through your retirement years," Drago says. Retirement Planning Mistake: Saving too late. The Solution: Stay in the workforce or look for guaranteed income streams. For some, it may already be too late to save up a significant amount of money before retirement, but if this describes you, it doesn't mean you're out of options. One strategy could be to remain in the workforce longer. Doing so not only allows you to save up more money, but you could also increase your Social Security benefits. "In fact, staying on the job a few more years may boost your retirement income by one-third or more," Drago says. If working isn't a possibility, "start focusing on creating guaranteed income streams," O'Connell says. Those could include payments from annuities or the cash value of life insurance policies. A finance professional can provide guidance on each investment and its income potential. Although retirement planning mistakes can make it difficult to enjoy the lifestyle you'd like, financial advisors say there is always time to make a positive change. "It's never too late to fix things, even if someone is in their first year of retirement or five years in," Gavlak says. "There is still time to adjust [a retirement plan]."